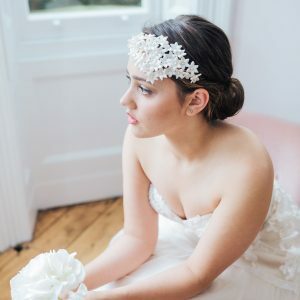 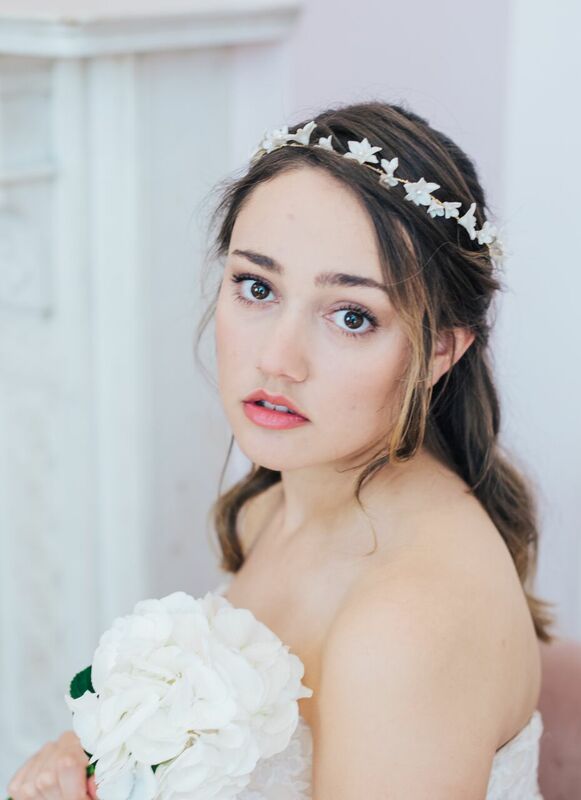 A gorgeous, delicate bridal head piece with floral details and fine pearl beads. 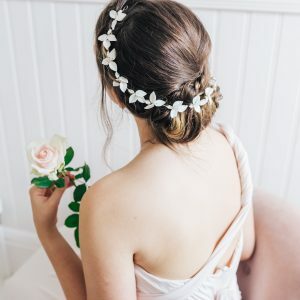 A beautiful option for a boho bride planning an English country or garden wedding, especially in the spring and summer months. 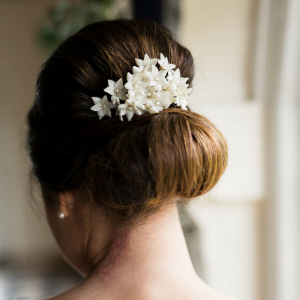 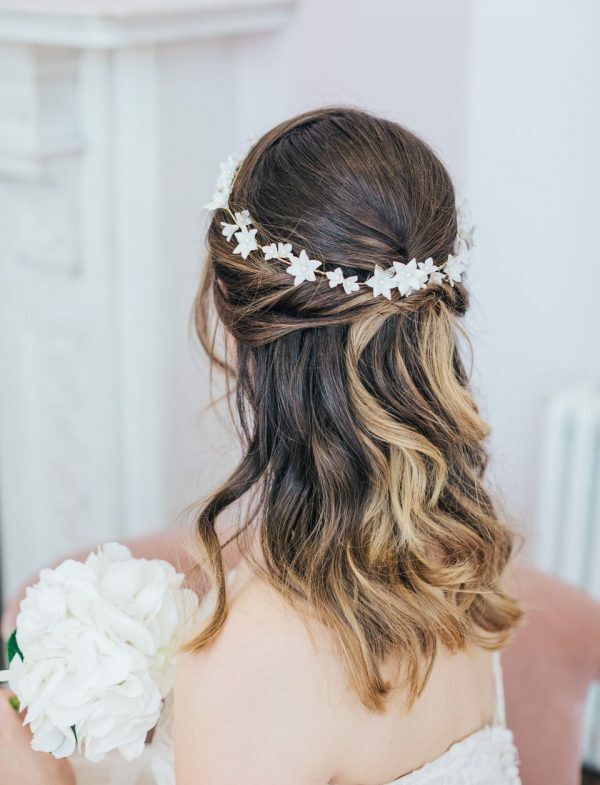 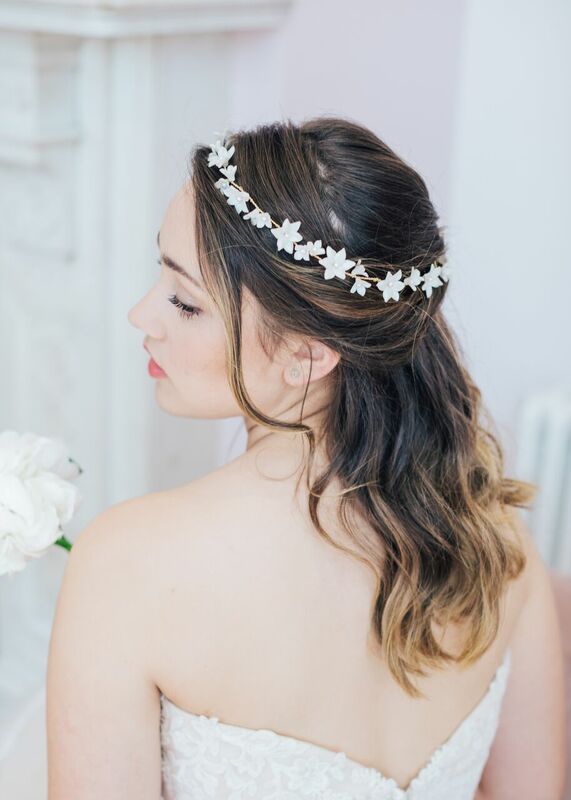 The perfect adornment for any wedding hair style, wear it with your hair up or down. 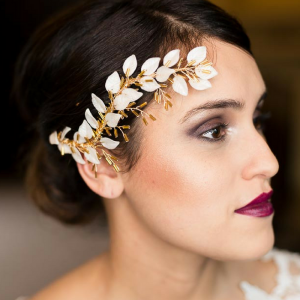 Materials: Polymer clay leaves, gold, silver or rose gold plated wire and pearl beads.